Can Felix is a large secluded traditional ancient farmhouse with spectacular views, hidden away in the beautiful hills of Ibiza. 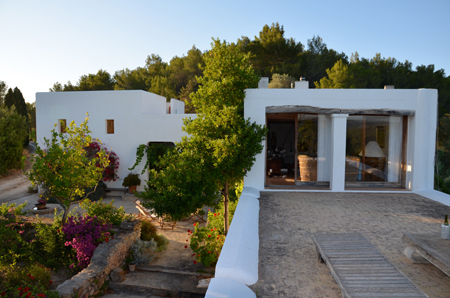 The house offers breath taking panoramic views over the Ibiza countryside to the sea beyond. It is decorated with a rustic theme and is the perfect Ibiza getaway whether with family or friends. Have breakfast under the canopy of the apricot tree on the kitchen terrace and lunch up by the pool set in a beautiful garden.